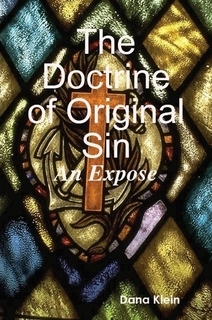 The Doctrine of Original Sin is a cardinal doctrine in the Christian Church today. It is interesting to read about its origin and its comparison with what the Bible says. It is also very surprising to read the different views of theologians and apologists concerning this doctrine. It is my desire to give factual evidence. I have spent countless hours and many sleepless nights researching and comparing Biblical texts to be sure that what I have written is based on fact. This research is only a small portion of what is available to those who will search and is not meant to be conclusive or exhaustive on the subject. I want the reader to decide if it’s a valid truth. Hopefully, someone can read my work and glean valuable information and possibly another perspective. This book is in the process of being revised, new revision to be published.